March 14, 2017 by Ken Ward Jr.
West Virginia led the nation in coal-mining deaths last year and we’ve seen two coal miners — including one working at one of the governor’s operations — die on the job so far in 2017. So obviously, it’s a good time for lawmakers at the Capitol to start focusing on coal-mine safety. And what better time to introduce what is certainly the most sweeping mine safety bill in many years than on a Saturday session of the state Senate, right? We are reviewing the legislation to make sure we fully understand the impact it will have on working miners. This is the first opportunity we have had to see any of this language. The fact that this bill was introduced on a Saturday when it would get the least amount of media coverage tells you all you need to know about how proud its authors are of it. When legislators are afraid of the people finding out what they are doing, something is wrong. The bill, sponsored by Sen. Randy Smith, R-Tucker and a Mettiki Coal official, is 106 pages long and is — to borrow the word used by longtime mine safety advocate Davitt McAteer — “breathtaking” in the extent to which is essentially eliminates any meaningful role for the state Office of Miners’ Health, Safety and Training in enforcement of safety and health protections for West Virginia’s miners. For example, instead of conducting “inspections” at the state’s mines, the office would only perform “compliance visits and education.” Actual enforcement actions could only be taken against mine operators if a state employee discovers conditions that present imminent danger to workers — unless, of course, the infraction was committed by an individual miner. The state’s “Individual Penalty Assessments,” which target mostly mid-level foremen and not companies or corporate agents, would remain part of state law, under the bill. Oddly, in a state where coal industry officials and their politicians have spent so much time bucking any role for the federal government in regulating mining, the bill also eliminates a long list of West Virginia safety and health standards and says that instead of those standards, mine operators must simply follow U.S. Mine Safety and Health Administration rules. There’s a lot of other stuff in this bill, including some confusing provisions about the Department of Environmental Protection’s Special Reclamation Fund, a program that is of growing importance as the state faces the decline of the coal industry and the legacy liabilities that often poorly regulated mining has left behind. The bill is on the agenda today for a 1 p.m. meeting of the Senate Energy, Industry and Mining Committee, which is chaired by Sen. Smith. Two of the bill’s other three sponsors are also on the committee, if that gives you any idea whether this legislation is set to get moving. This would be the third year in a row that West Virginia lawmakers have moved to weaken coal mine safety and health protections (see here and here). And before you blame the Republicans, recall that a Democratic-controlled Legislature and a Democratic governor didn’t exactly pass meaningful mine safety reforms in the wake of the Upper Big Branch Mine Disaster. March 1, 2016 by Ken Ward Jr.
As this year’s session of the West Virginia Legislature grinds on, it continues to become clear who is really running our state — and honestly, it’s not just about political parties (though surely, the parties increasingly have a chance to show us what they really stand for in these final weeks). Two things that are moving forward up at the statehouse as I write give us the true picture of our state’s politics. Political platitudes and lip service regarding the importance of coal jobs in the State and support for them will not save these family livelihoods this time. Only immediate action to reduce the State’s tax on coal extraction will help protect them … the West Virginia coal severance tax must be reduced from five percent (5%) of the gross sales price of its coal to no more than two percent (2%) very quickly. It appears — at least from what’s available online from the Legislature — that the bill currently at issue (and ready for second reading today in the Senate) would phase in a reduction from 5 percent to 4 percent starting in mid-2018 and then to 3 percent in mid-2019. The legislation introduced yesterday is very much needed. Indeed, all of the proceeds from the coal severance tax reduction will go directly to our electric utility customers, through the language of our coal sales contracts, and none of it to any coal company. This will allow the jobs of West Virginia coal miners to be more competitive against coal from other states and against the increased use of natural gas to generate electricity. There’s little evidence to support a severance tax cut for coal as a tool to increase production and employment. Overall, the state has little ability to influence the forces affecting the coal industry, be they competition from natural gas, environmental regulations, productivity, or transportation issues. The numbers in the Coal Association’s report are entirely unrealistic, which is probably why, despite their report, they don’t deny that a severance tax cut probably won’t help. Who really runs West Virginia? February 26, 2016 by Ken Ward Jr. The talk of the town here in Charleston remains out ongoing legislative session, and there’s rightfully a lot of talk about some of the initiatives — right to work, hating gay people, etc. — that the new Republican majority seems to think are more important than the current budget crisis and the real long-term challenges facing our state. But I’ve written before about how West Virginia’s public policies aren’t really governed by Democrats or Republicans. That’s not who has been running our state of all these years. If you don’t believe me, I would encourage you to consider a few happenings up at the statehouse these last few days. First look at the vote on SB508, the bill to protect oil and gas drillers from certain kinds of lawsuits by residents who think their new neighbors aren’t so much fun after all. It passed 20-12, with support from some Democrats — like Kanawha County Senator Corey Palumbo, who seems surprisingly irony-impaired about the whole thing. Second — and even more interestingly — look at the vote on SB565, the legislation to weaken the state Department of Environmental Protection permitting of natural gas drilling. DEP Secretary Randy Huffman — hardly an enemy of the natural gas industry — doesn’t think this bill is a good idea. But only one Democrat — Sen. Jeff Kessler — voted against it. Some Democratic leaders would like to make it sound like they are with the surface landowners, citing concerns about the “forced pooling” legislation. So why did SB508 get its share of “no” votes, but SB565 face opposition only from Sen. Kessler? Well, that’s because the trial lawyers are against SB508 and have generated attention and opposition. But SB565 is arguably more important to surface landowners — it’s aimed at putting permits in place that would prevent damage and nuisance for residents before they occur, not just protecting the right to sue after it happens. Shocked that Gov. 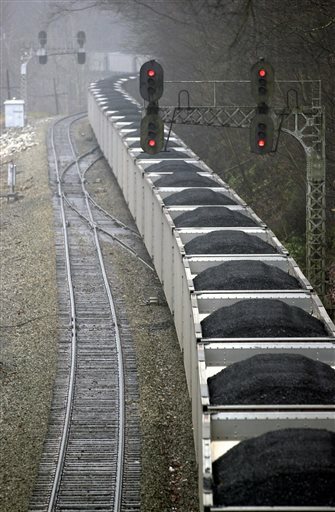 Tomblin sided with coal lobby? A funny thing happened as this year’s West Virginia legislative session comes to an end … Gov. Earl Ray Tomblin had a choice between siding with coal miners and coal operators, and he went with the operators. In his long career as a lawmaker, Governor Tomblin had always worked to adopt laws that help protect coal miners – until now. Senate Bill 357 is a disappointing step backward in mine safety, and I had hoped the Governor would veto the legislation. How soon they forget … It wasn’t so terribly long ago that Governor Tomblin offered a fairly weak mine safety bill in response to the state’s worst coal-mining disaster in a generation. And the cornerstone of that bill was an industry pet proposal to drug test coal miners, despite the fact that there was no link at all between drug use and those 29 miners getting blown up at Upper Big Branch. And if that weren’t enough, the legislation was further weakened in a backroom deal with coal industry lobbyists, and then the Tomblin administration did its best to avoid and delay any real enforcement of the few reforms included in that bill. Protecting miners: Will lawmakers get the message? 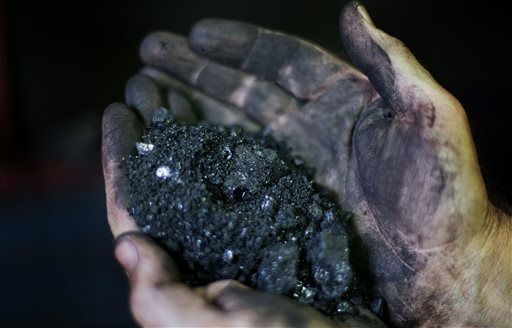 February 12, 2015 by Ken Ward Jr.
One of the industry groups set to benefit the most from all this is the coal industry, which has been in trouble lately, no question. The industry’s supporters say that to fix that problem, we need to roll back safety regulations. That, apparently, will save money. My question is, will it be enough? What will it take to compete with coal being sold at about one quarter of the price of our coal? I just don’t think rolling back decades of safety improvements will do it. Nope, we’re going to have to do more. Let’s bring back the company store, so the companies can take back the wages they pay to the miners. Maybe the companies can once again charge the miners for the tools and equipment they use. Longwalls and continuous miners are expensive; it seems only right that the companies recoup their costs for them. And we can bring back the company town, so the miners can pay rent to the company for the privilege of living in a forced labor camp while working at a more unsafe mine. We can put company doctors back to work, because of course they are the most qualified to say if injured miners are healthy enough to go to work or have black lung. But no painkillers, though. Two things about this line of argument come to mind. First, will some of the Republicans now running the West Virginia Legislature — and maybe even some of the Democrats — understand that Cecil Roberts isn’t really suggesting our state do these things? It’s hard to know, especially after listening to some lawmakers who didn’t want to adopt as state standards to limit child labor in the especially dangerous places, despite more than decade-old recommendations aimed at keeping kids safe. Legislative intent: What are West Virginia lawmakers doing to the rights of injured workers? February 11, 2015 by Ken Ward Jr.
As West Virginia lawmakers continue to push a variety of measures aimed at weakening worker safety standards and eroding new water quality protections, it’s important to pay attention to some of the things they’re also doing to the state’s legal system — often one of the few places where citizens can go to have their voices heard and wrongs done to them addressed. Often, the way these issues are being portrayed — as GOP lawmakers and industry lobbyists versus rich plaintiffs’ lawyers — while accurate to a point, doesn’t come close to telling the full story. We are balancing the interest of our people and our business community. The balance is out of sync. It’s no wonder our children and our grandchildren have to leave the area to get jobs. Now, never mind that we’ve not seen or heard any data about how many “deliberate intent” cases are filed in West Virginia every year, or how many of those led to judgment against employers, or let alone had any serious discussion so far this session about what the state could do to stop leading the nation in coal-mining deaths and or (despite Gov. Earl Ray Tomblin’s recommendation for a study) the troubling string of deaths in the booming Marcellus Shale gas business. It’s not like the West Virginia Legislature really feels the need to actually understand an issue, or have good data and expert analysis, to take action, right? But in most cases, it would probably be helpful if the general public were given more than just a few quotes from each “side” of the debate. It’s helpful to look and see what bills actually say. So let’s do that with this “deliberate intent” bill. The president of the state Chamber of Commerce and other business leaders criticized the ruling and asked the legislature to pass a law to lessen its impact. Governor Rockefeller asked the 1982 legislature to consider a change in the law, but the legislature decided to appoint a study commission which made its recommendation in 1983. That year the Mandolidis bill (HB1201) was enacted, modifying the seven-year old decision. The new law softened the impact of the court decision but provided more rights to workers than prior to Mandolidis. As you can imagine, there’s been tremendous controversy over the years about what this legislation actually means. There have been a lot of court cases, and lawmakers periodically revisit the issue, most frequently at the urging of business lobbyists who would just as well prefer that workers not be able to sue them at all for on-the-job injuries. January 29, 2015 by Ken Ward Jr.
It’s not like the coal industry had a particularly hard time getting its bills through the West Virginia Legislature when Democrats were running the show. But it’s worth noting that the industry’s agenda is starting to move again this year under the new Republican leadership as well. For example, take today’s meeting of the Senate Energy Industry and Mining Committee, where a major change in state water pollution rules covering coal was approved with basically no discussion at all. The discharge or discharges covered by a WV/NPDES permit are to be of such quality so as not to cause violation of applicable water quality standards promulgated by 47 C.S.R. 2. As was explained to committee members, the point of the bill is to allow mine operators to use a state DEP permit as a “shield” against citizen lawsuits that allege mining discharges are causing water quality standard violations. In federal court, U.S. District Judge Robert C. Chambers has been refusing to go along with this “permit shield” defense. Naturally, if the coal industry can’t comply with the law, the best thing to do is to change that law, right? While permits shall contain conditions that are designed to meet all applicable state and federal water quality standards and effluent limitations, water quality standards themselves shall not be incorporated wholesale either expressly or by reference as effluent standards or limitations in a permit issued pursuant to this article. So, if this passes, the law in West Virginia would be that DEP can’t write into water pollution permits for the coal industry that mining companies must comply with water quality standards. If you like that change, then be sure to read the West Virginia Coal Association’s entire legislative wish list, which I’ve posted here. And before anybody thinks they can blame all of this on the Legislature’s new Republican leadership, remember that this DEP-written changesin coal permit rules was all because of a previous bill that was passed by a Democratic Legislature and signed by a Democratic governor. January 23, 2015 by Ken Ward Jr.
As the first full week of this year’s legislative session comes to an end, it’s more clear than ever that there’s little room up at our statehouse for facts. If you listened to the debate on the House floor yesterday as delegates took turns standing up for coal, you know what I’m talking about. It was hard not to wonder if as many lawmakers will still be so concerned about coal miners when it comes time to vote on whether to give the industry immunity to many workplace injury and death lawsuits. But seriously, the longer I watch West Virginia politics — especially politics surrounding coal and energy — the more that each debate over each issue seems to become more and more deprived of facts or data, let alone reasoned analysis of those facts and data. … State records show that the 2009 law actually does little to hurt the coal industry and maybe even less to really promote alternatives like wind energy or solar power. West Virginia’s coal-heavy utilities say they have been — and will continue to be — able to meet the law without adding new renewable generation. This story was based on annual reports that West Virginia’s two largest utilities filed with the state Public Service Commission (see here and here), and with an annual analysis that the PSC itself performed (see here). No one has really produced any facts or data or evidence of any kind that disputes this information. None. It’s not surprising that career political consultants tried to use passage of this do-nothing “alternative” energy bill tried to re-label it as “cap and trade” so they could use it against now-Sen. Joe Manchin and Gov. Earl Ray Tomblin (see here and here). And you have to hand it to the Republicans — they campaigned against this bill, and in repealing it, they’re doing what they said that they would. How soon we forget: Mine safety in W.Va.
October 21, 2014 by Ken Ward Jr.
One way that West Virginia lawmakers seem to like to avoid taking stronger action on important public health and safety issues is to put off much-needed reforms until someone does a study or a report on the issue. There’s nothing necessarily wrong with wanting more and better information — assuming that you plan to actually look at that information and follow up on the public policy implications of it. That’s not always what really happens at the West Virginia Legislature. Just look, for example, at how lawmakers do nothing about the ongoing problems related to the Marcellus Shale gas-drilling boom, at the same time that they move terribly quickly to protect a Department of Environmental Protection decision to ignore landfill intake limits to ensure drillers have somewhere to dump their waste. This method of ignoring important issues was on display yesterday at the Capitol, where a special legislative committee on Labor and Worker Safety Issues met during this month’s interim session. The director shall, by December 31, 2013, report to the Legislature and Governor on the need for revisions in the state’s underground mine safety enforcement procedures. The director shall initiate the study using appropriate academic resources and mining safety organizations to conduct a program review of state enforcement procedures to evaluate what reforms will assure that mining operations follow state mandated safety protocols. The report shall include recommended legislation, rules and policies, consider various options for improving inspections, accountability and equitable and timely administrative procedures that cause remediation of hazardous working conditions. As readers may recall, while Gov. Tomblin, his handlers and a lot of lawmakers and cheerleaders called the governor’s legislation comprehensive, it was really anything but (see here, here and here). We also know that the Tomblin administration was slow to actually put in effect the few tough changes included in the governor’s bill. And the point of this report was to outline other needed changes, so lawmakers could act on those, based on the facts and recommendations in this report. Gov. Earl Ray Tomblin and legislative leaders need to enact a long list of additional reforms to protect the health and safety of West Virginia’s coal miners, according to a new state report. The report from the state Office of Miners’ Health, Safety and Training urges revised inspection and enforcement measures, tougher standards for preventing mine explosions and a requirement for proximity-detection systems that would prevent common crushing and pinning accidents. In the 85-page report, Tomblin and lawmakers also are urged to provide more money for coal mine regulation and safety training, and increase pay so the agency can maintain a quality inspection staff. But, the only thing that lawmakers did about mine safety during last year’s session was take action to confirm it was just fine with them that the state Board of Coal Mine Health and Safety didn’t follow a mandate to toughen methane monitoring n the state’s underground mines. The only real safety reform that took place this year in West Virginia’s mines was a new rule to require proximity detection devices on certain mining equipment. But that rule allows mine operators quite a long time to comply, and it was passed only after repeated demands for action from mine widow and safety advocate Caitlin O’Dell. March 7, 2014 by Ken Ward Jr.
As the clock ticks toward tomorrow’s midnight deadline for this year’s regular session of the West Virginia Legislature, members of the state Senate took an interesting — and possibly terribly important — step this evening on SB 373, the bill written to respond to January’s Elk River chemical spill. Faced with a variety of House-passed amendments that strengthened the bill, the Senate appears to have opted not to re-argue things like whether that long list of industry-backed exemptions the House removed should be packed back in in the final hours of the session. Those exemptions, of course, had been inserted in the Senate, after also being part of the legislation proposed by Gov. Earl Ray Tomblin. Instead, what the Senate did this evening was to remove an amendment put in on the House floor at the urging of Delegate Justin Marcum, D-Mingo. We’ve discussed this amendment before, noting that Delegate Marcum didn’t seem able to really explain its impact — something that didn’t stop House members from approving it. The problem for the Senate, according to Majority Leader John Unger, D-Berkeley, was that it appeared the amendment had the potential to derail the whole program for the state Department of Environmental Protection to begin more closely regulating above-ground chemical storage tanks like the one that leaked at Freedom Industries. Now, Delegate Marcum portrayed his bill as an effort to simply help a few water pollution permit-holders who already pay a permit fee to DEP, by exempting them from being double-charged. The first problem with Delegate Marcum’s amendment is that these permit holders wouldn’t have been double-charged for the same DEP permitting activity. They would have been charged two different fees for two different programs. A lot of people have described this as an exemption for oil and gas operations, because that’s who is covered by W.Va. Code 22-6 and 22-6A. But that part about “facilities covered by an individual National Pollutant Discharge Elimination System permit” could have allowed this fee exemption to apply to all manner of industrial operations, from coal mines to chemical plants. Or at least that was the concern expressed by the Senate. I think Senate Bill 373 is an example of how the system is supposed to work. March 6, 2014 by Ken Ward Jr. It was another late night for the House of Delegates, as members spent a couple of hours working and reworking through amendments to SB 373, the legislative response to the Freedom Industries chemical spill that contaminated the water supply for 300,000 West Virginians. Delegates carefully put back in some important provisions that the House Finance Committee had summarily removed. A long-term health study of residents impactedby the Crude MCHM contamination, tougher WVDEP permitting for facilities located within the critical zone near drinking water intakes, and better “early warning” systems to detect contaminants near the Elk River water plant that serves the region are all back in the legislation that passed the House unanimously. Another vote by the House put back in the bill language to require a new state water system study commission to examine the U.S. Chemical Safety Board’s recommendation for a state chemical accident prevention program. That requirement had somehow disappeared from the version that passed out of the House Judiciary Committee. What’s amazing here is that it takes an act of the Legislature for state officials to actually even really consider the CSB’s very sensible recommendation — made by the CSB twice more than two years ago following fatal accidents at two Kanawha Valley chemical plants. Delegate Meshea Poore, D-Kanawha, deserves special credit for her work on several of these issues. It was particularly smart of Delegate Poore to change one of her amendments to calling for a “long-term medical study” of residents in the spill region from its original language calling for “medical monitoring.” The anti-lawsuit crowd has wrongly turned “medical monitoring” — something that can be awarded only under very limited conditions in lawsuits in West Virginia courts — into such a bugaboo that many lawmakers were standing against it, without really being able to articulate what it was they were against. Other amendments that could have strengthened the bill were defeated, often without really much of an argument against them. For example, lawmakers overwhelmingly voted down a proposal for a specific provision allowing citizen lawsuits to make state agencies actually — horror of horrors — enforce the various duties the bill puts on those agencies. Lawmakers quibbled with exactly who could bring such suits under the amendment, but I didn’t hear anyone explain why it’s a bad idea to allow courts to step in when agencies blatantly ignore duties to protect our health and safety. As with the medical study amendment, the anti-lawsuit crowd has made so many lawmakers misunderstand the civil justice system that most of them don’t get the idea that over and over and over again it’s taken citizen lawsuits to force corporate and government action on environmental and public safety threats. Don’t think so? Read the story today about the big U.S. EPA deal with Alpha Natural Resources, and take note of the role citizen suits played in bring about that settlement. West Virginia history is full of examples where citizen suits were the only reason we improved our educational system, reformed conditions in jails, gave coal miners the workplace safety they deserve, and complied with the mandates of federal environmental laws to clean up our streams. While it was delayed for hours, the House debate last night provided some hopeful examples that West Virginia leaders are learning a little bit from what’s happened over the last few months. There was the scene, for example, when Judiciary Chairman Tim Manchin was trying to amend back into the bill language to outlaw the WVDEP’s longstanding practice of allowing many industrial facilities to get stormwater pollution permits through a streamlined “general permit” process. A major report by the West Virginia Rivers Coalition and Downstream Strategies proposed this reform, noting that the Freedom Industries site got little regulatory scrutiny under this WVDEP practice. Delegate Kevin Craig, D-Cabell, didn’t like this amendment. He was concerned it put too much pressure on construction operations, which currently receive stormwater pollution authorization through general permits. Chairman Manchin proposed an alternative, but when it wasn’t enough for Delegate Craig, the two got together and came up with a fairly reasonable compromise. The approved amendment requires more rigorous general permits for pollution sources that are located near drinking water intakes and that have above-ground storage tanks regulated by the new bill. Is this really about protecting coal miners? March 5, 2014 by Ken Ward Jr. It was fascinating to listen earlier today as members of the House of Delegates approved a little-noticed piece of legislation called SB 603. In explaining the bill and several amendments to fellow delegates, House Judiciary Chairman Tim Manchin was saying that the bill’s purpose was to set a state limit on methane — the concentration at which mining machines would automatically shut off to avoid explains — more stringent than that set by the federal government’s Mine Safety and Health Administration. Well, it’s true that West Virginia law contains a methane shutoff concentration that is more stringent — lower — than the 2.0 percent set by MSHA, that’s not at all what this bill was really about. What this particular bill is actually all about is fixing the situation that the Tomblin administration and lawmakers got themselves into when they wrote their post-Upper Big Branch Mine Disaster law two years ago, and wanted to make that law — miserably weak though it was — sound like it was a major accomplishment. Along the way, the bill actually increases the amount of methane allowed before mining machines will shut off, and it protects members of the state’s Board of Coal Mine Health and Safety from having to do their jobs. Last week in his inaugural address, Gov. Earl Ray Tomblin touted his administration’s efforts to ensure the safety and health of West Virginia’s coal miners. “We made our mines safer by passing a comprehensive mine safety bill to protect the thousands of miners across this state who work each and every day so we may all enjoy a better life,” the governor said after being sworn in for a new term. Today, though — more than 10 months after that bill was passed — a key provision isn’t being enforced, officials confirmed last week. And it’s not likely to be enforced any time soon, they said. Tomblin and legislative leaders repeatedly touted language aimed at tightening the state’s requirement for mining equipment to be automatically shut off when methane is detected underground. State regulators, though, have never written rules to implement that part of the legislation. Without those rules, the state Office of Miners’ Health, Safety and Training is prohibited from enforcing the tighter methane-shutoff requirements. Coal operators are required to monitor underground mines for methane, which can explode when it is present at between 5 percent and 15 percent of the air. Under federal rules, methane monitors are designed to automatically shut down underground mining equipment if the explosive gas is detected at concentrations of 2.0 percent or greater. The idea is that shutting down mining equipment removes a potential source of a spark that could ignite methane and cause a catastrophic explosion. Initially, legislation introduced by House Democratic leaders, coal-cutting devices on mining equipment would be required to automatically shut down when methane concentrations reached 1.25 percent. Lawmakers approved the legislation on March 6, 2012. Tomblin officially signed the measure on March 16 and then held a second, public signing ceremony on March 21. The legislation took effect in June, 90 days after its passage. Under the bill, board members had four months from the bill’s effective date — or by October — to write the rules. However, industry and labor representatives apparently were unable to reach agreement on how to define “sustained period,” with industry officials wanting a looser definition, and UMW officials a more restrictive one. What kind of water protection bill will we get? It’s not been so terribly long ago that West Virginia leaders were focused on turning the page on Massey Energy and the Upper Big Branch Mine Disaster. The result was lawmakers passed a terribly weak coal-mine safety bill that’s never been fully enforced, and our state’s miners continue to die on the job (see here, here and here, for example) — the inevitable result, some of our leaders would have us believe, of doing “the heavy lifting” for our nation. There was also a rush a few years ago to move on from discussing serious issues about the Marcellus Shale natural gas drilling boom, following passage of a much-weakened piece of legislation Gov. Earl Ray Tomblin and his staff worked out with industry lobbyists. This legislative session, we’ve seen quite a push on to legalize the Department of Environmental Protection’s move to assure gas drillers a place to put the huge amounts of waste their practices generate. But, we’ve seen precious little from lawmakers about the many critical issues that weren’t addressed during that special session in December 2011 (see here, here, here and here). And certainly, if there has been any talk at the West Virginia Legislature about the climate crisis, it’s been through pandering resolutions aimed at doing little but playing politics and continuing the do-as-little-as-possible approach to these sorts of problems that results in disasters like the Jan. 9 Freedom Industries chemical spill that contaminated the drinking water of 300,000 West Virginians in a nine-county region. Today on the House floor, we’ll get to see if the West Virginia Democrats who run that part of our government have learned anything in the last few months — let alone in the last few years, since that day in April 2010 when 29 coal miners got blown up at Upper Big Branch. Like previous versions, it greatly expands on what was extremely limited language in West Virginia Code, simply giving the Department of Health and Human Resources authority to write rules concerning drinking water protections. Among the more significant moves by Chairman Tim Manchin is to strike from the bill most of those controversial exemptions that were originally proposed by the West Virginia Manufacturers Association, included in the governor’s bill, and carried over by the Senate and one previous House committee. Largely, the bill would require state government to start doing what most experts say should have been done all along — actually take chemical inventory information, the location of various threats to public drinking water, and use that information to plan how to be sure those precious water supplies are protected. Frankly, folks, there are a lot of good things included in this Judiciary draft bill. Is it perfect? No. But the provisions already included would provide significant new regulation for protecting water supplies across the state. Now is not the time to start over. Now is the time for the House to pass their version of SB 373, and send it back to the Senate for its consideration. The treatment of the water bill in House Finance was in stark contrast to the deliberation of the other two committees. Whereas Health and Judiciary took two weeks to improve the Senate bill, Finance flushed their hard work down the drain in a few hours. Right now, the legislative website lists at least 10 amendments scheduled to be considered today on the floor, including one that would put the long-term health study back in, another that would reinstate the early warning pollution monitoring, and another to allow for citizen enforcement of the new water law. January 8, 2014 by Ken Ward Jr. Political watchers here in West Virginia are waiting this afternoon to hear exactly what proposals Gov. Earl Ray Tomblin will make in his State of the State address tonight. But we were treated so far this week to several announcements of what the Democratic leadership in the House of Delegates hopes to focus on during the 2014 session (see here, here and here for the official announcements). Delegate Kevin Craig, said House leadership concurs with the Senate leadership and sees potential in a future fund that creates a source of revenue generated by the oil and gas industry but which doesn’t increase the cost of producing oil and gas in the state. “The use of the revenue from the future fund can be for many different activities, but should certainly be utilized in areas that serve as an investment in our state’s future, such as education, teacher salaries, and infrastructure,” he said. We’ll see how much attention and effort House leaders put toward getting this sort of a bill through and a program implemented. But if you’re looking for much else from House Democrats in the way of dealing with many of the major issues facing our state’s coalfields — climate change, damage done by mountaintop removal (see here and here), the shifting energy economy and dwindling coal reserves that are greatly slowing Southern West Virginia coal production, or the continuing problems protecting miner health and safety — this week’s announced agenda isn’t the place to look. Delegate Kevin Craig, who is vice president for business development for Natural Resource Partners in Cabell County, will chair the committee. Natural Resource Partners of Houston, Texas, owns 212,927 acres in nine counties. The company, formed in 2002, is primarily engaged in managing mineral reserve properties and does not actively mine the properties, instead collecting royalties from mine owners. “The Legislature will review permitting processes and take steps to ensure that permits are granted in a responsible yet expeditious manner so that capital does not sit idle,” Miley said. It would be easier to believe that House leaders were concerned about permit reviews being done in a “responsible” manner if they hadn’t shown us last year what a rush they were in to help the coal industry try to weaken water quality standards for things like toxic selenium. Or maybe, if they didn’t assume that all permits should be issued, and instead really talked about quality permit reviews, rather than “expedited” approval of all permits. One of the methods to ensure worker safety is the creation of an energy industry health and safety commission, made up of legislators from the House and Senate, to help the Legislature remain vigilant regarding safety concerns with both the coal and natural gas extraction industries. The commission would meet quarterly and be provided information regarding fatalities and serious injuries that occur in our energy industry in West Virginia. August 23, 2013 by Ken Ward Jr.
There’s an important new ruling out from U.S. District Judge Robert C. Chambers addressing the continuing efforts by West Virginia political leaders to help the coal industry avoid controlling the pollution from their operations. The ruling, released yesterday and available here, addresses SB 615, a 2012 bill that coal industry lobbyists hoped would shield them from citizen legal actions — especially over violations of West Virginia’s water quality standard for toxic selenium. Specifically, the case involves a lawsuit brought by lawyers from Appalachian Mountain Advocates on behalf of various environmental organizations over selenium pollution from the former Massey Energy (now Alpha Natural Resources) Brushy Fork coal-slurry impoundment in Raleigh County. Essentially, Judge Chambers ruled that this legislation doesn’t do what coal industry lobbyists — and Alpha’s lawyers in this case — had hoped it would: Protect them from citizen suits like this one. And as readers also know, the success of citizen suits has been forcing coal companies to take greater steps to reduce pollution and — in the case of one company, Patriot Coal — to rework its business plans to phase out large-scale strip mining in Appalachia. Some readers may recall that the legislation in question, proposed by Sen. Art Kirkendoll, D-Logan, and backed by the state Department of Environmental Protection, set as its goal, “clarifying that compliance with the effluent limits contained in a National Pollution Discharge Elimination System permit is deemed compliant with West Virginia’s Water Pollution Control Act.” Basically, the idea was that if you stay below the specific permit limits for specific pollutants, then you’re good to go – nobody can come after you for water quality standard violations that may be occurring if those water quality standard violations aren’t tied to violations of those specific effluent limits. Judge Chambers explains a variety of problems with this approach by the industry and its political supporters, but among them is the simple fact that, the declaration of legislative intent quoted above aside, the actual change to state statute here referred not to complying with effluent limits, but instead said that compliance with a permit … shall be deemed compliance with the Water Pollution Control Act. In this particular case, the DEP-issued water pollution permit for the Brushy Fork impoundment does not contain a specific discharge limit for selenium. The state does have a water quality standard for selenium, though, and in their suit, the Ohio Valley Environmental Coalition, the West Virginia Highlands Conservancy, Coal River Mountain Watch and the Sierra Club allege that discharges from Brushy Fork are causing violations of that selenium standard downstream. To follow this, keep in mind a couple important pieces of legal background: First, West Virginia’s regulations to enforce the federal strip-mining law specifically state that all water pollution discharges from coal-mining operations shall not violate effluent limitations or cause a violation of applicable water quality standards. Second, West Virginia’s NPDES regulations for coal-mining operations require that all permits include a specific provision that discharges from coal mining operations are to be of such quality so as not to cause violation of applicable water quality standards. Like other NPDES permits for coal operations in West Virginia, the permit for the Brushy Fork impoundment specifies that the facility’s discharges aren’t allowed to cause a violation of the state’s water quality standards — for selenium or anything else. So, Judge Chambers has ruled, even though DEP did not put a numeric limit on Brushy Fork’s selenium discharge, that permit language means that if the company is causing a water quality violation for selenium, citizens groups can sue to try to stop that pollution. March 11, 2013 by Ken Ward Jr.
On Friday, not long after our West Virginia House of Delegates voted 99-0 in favor of a selenium water pollution bill favored by the coal industry (with the House Judiciary Chairman citing as the main reason to support it simply that it was “an important one for the coal industry), I finished up another in a series of articles in which I’ve been checking up on how Gov. Earl Ray Tomblin’s administration is doing in implementing last year’s “comprehensive” mine safety bill. The Tomblin administration is not moving forward with language in West Virginia’s new mine safety bill that could require tougher safety training at coal-mining operations that routinely violate state regulations. Eugene White, director of the state Office of Miners’ Health, Safety and Training, said his agency has not yet used its authority to take action when coal operators repeatedly allow hazardous working conditions. That’s right, here was yet another tool that West Virginia’s mine safety regulators really weren’t using — along with better methane monitoring systems, tougher coal-dust control standards, and stiffer fines for safety violations. The new “pattern of conduct” provision was added to West Virginia law as part of a mine safety bill passed in March 2012 and touted by Gov. Earl Ray Tomblin as “comprehensive” legislation. The law says that White’s agency must, after such a finding, notify the state Board of Miners’ Training, Education and Certification of that finding. Then, the board is required to “cause additional training to occur at the mine” to address the safety problems and hazards found at the operation. During an interview last week, White said his agency has created a new form for inspectors to use when they want to report a “pattern of conduct” to supervising inspectors or agency headquarters in Charleston. So far, though, no such reports have been submitted. “Has anyone filled one of those out yet? No,” White said. White said that, for now, he would prefer not to report mine operators to the training board, and wants his agency and its inspectors to try to address any problems they find at mining operations. Gov. Tomblin likes to pretend that West Virginia is doing everything it can to make our coal mines as safe as possible — yet his administration seems to accept not aggressively pursuing every avenue given to regulators by the Legislature. And incredibly, the Legislature seems to think that’s just fine. 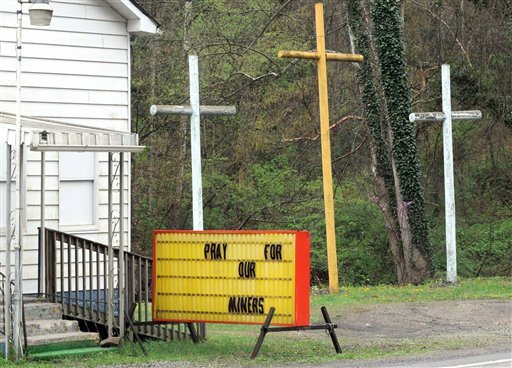 So far, four West Virginia coal miners have died on the job so far in 2013. That’s four times as many as had been killed as of this date in 2012. February 21, 2013 by Ken Ward Jr.
First, there’s HB 2571, which aims to further weaken the conflict-of-interest provisions that govern membership of the state Environmental Quality Board. And then, there’s HB 2579, which aims to derail efforts to force the coal industry to clean up its selenium pollution. Lawmakers always seem eager to try to find ways to end up in court over their efforts to weaken environmental protections for West Virginia’s public health and environment. July 25, 2012 by Ken Ward Jr.
West Virginia mine regulators are failing to meet their agency’s goals for timely inspections and permits … Legislative auditors blame turnover and a relatively high number of vacancies for the delays at the Division of Mining and Reclamation. But division Director Thomas Clarke faults heightened scrutiny by the U.S. Environmental Protection Agency since President Barack Obama took office in 2009. He also cites a surge in Freedom of Information Act requests. His office counted 318 requests in 2008, 708 requests in 2011 and 431 this year as of June. — First, the audit examines whether WVDEP meets its own goals for making decisions on mining and water pollution permit applications for coal operations within 12 months, and does not address the more important issue of the quality of these permit reviews and the decisions the agency makes. That’s a much more complicated matter, but one worth discussing. Keep in mind that WVDEP is the agency that issued all of the strip-mining permits that scientists say have caused “pervasive and irreversible” damage to the state’s environment, and that an increasing body of science is linking to higher risks of serious public health damage, including birth defects and cancer. — Next, the notion that strip mines will all be inspected by WVDEP at least once per month is not some made-up agency goal. It’s the law. State code is very clear on this point, as is the federal Surface Mining Act. For the most recent year available, the state’s completion rate dropped to 82 percent. March 21, 2012 by Ken Ward Jr.
I’m proud of our state’s mine industry, I’m proud of our coal miners, and I’m proud we have passed this legislation. Coal mining in West Virginia will be safer as a result our foresight and hard work. Again, I’d like to commend both the members and leadership of the House of Delegates and the Senate for working to ensure the safety of our coal miners. and, increases fines and penalties for those who give advance notice of an inspector’s presence at a mine or who willfully violate any safety standard that causes a fatality, among other safety improvements aimed toward preventing coal mine disaster injuries and fatalities. My first question would have been: Governor Tomblin, why in this legislation did you not push for lawmakers to require the same sorts of advanced safety technology — real-time ventilation monitoring and coal-dust explosibility meters — that Alpha Natural Resources agreed to install as part of its agreement with U.S. Attorney Booth Goodwin regarding the Upper Big Branch Mine Disaster? I would have also asked why the governor ignored the advice of the state’s independent investigator, Davitt McAteer, and did not include in this legislation language to get West Virginia out ahead of the nation in terms of coal miner health issues, by tightening the legal limit for coal dust that causes deadly black lung disease. — The “new” rock-dust standards were already enacted by executive order nearly two years ago in West Virginia, and put into a federal regulations through an emergency rule by the Obama administration’s U.S. Mine Safety and Health Administration. The methane-testing portions of the bill are unnecessarily complicated, appear to allow equipment moves in very dusting conditions, and are certainly not as helpful as the real-time ventilation monitoring included in the Alpha settlement. — The anonymous mine-safety “tipline” was also already in existence. — Abuse of alcohol and drugs may certainly be a problem in West Virginia’s coal mines, but Gov. Tomblin was off base when he tried to connect it to specific fatal accidents, and no investigation thus far as found any link to the Upper Big Branch Mine Disaster. — The bill increases penalties, but far less than what was originally proposed. Safety fines in West Virginia are still far lower than the federal penalties, and any beefed-up criminal statutes on the state level are meaningless unless somebody actually decides to prosecute someone under those laws. This is what West Virginia political leaders consider “monumental” mine safety legislation.